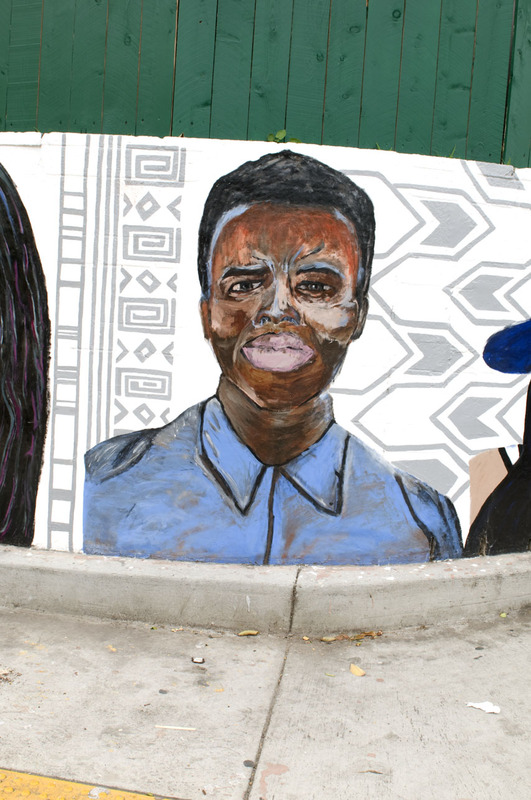 Working with Brian Black at Crawford High School and the San Diego Cultural Arts Alliance, I helped students create a mural on 51st St. in San Diego. 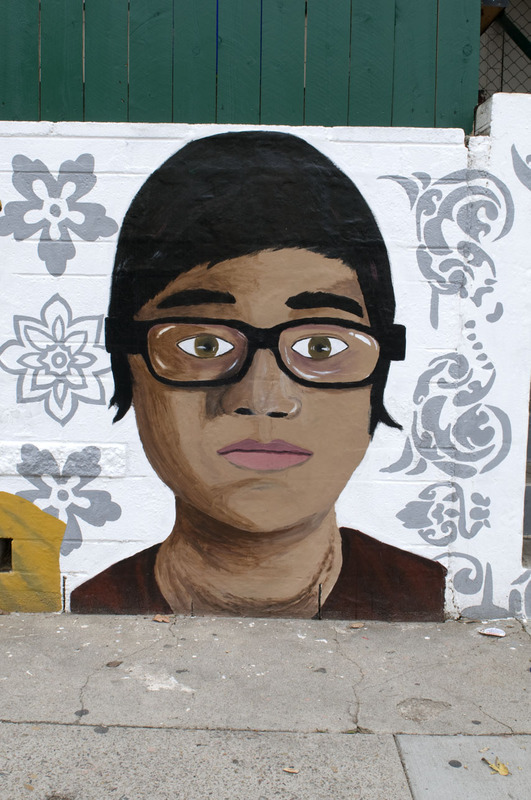 Seventy high school students took "selfies" and then selected twenty-two images to use for the project. They researched patterns from different cultures to use for the background and worked in teams to complete the selfies in the classroom. Volunteers, Brian Black and I then applied the images to the wall and painted the background. There was a tremendous amount of community support during this process. The wall is across from Fay Elementary School's playground and the kids gave us a big cheer during the painting. The title is "Picture of a Community."